Mayday! 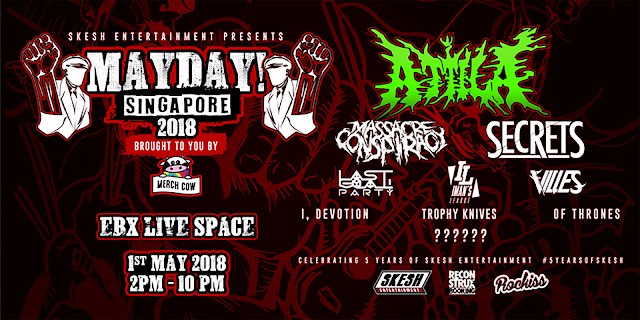 Singapore 2018 will be filling the stage with a whole bunch of acts including international talents this 1 May at EBX Live Space. Underground acts, Attila and Secrets will be featured as the international acts from America. They will be accompanied by our own regional rock bands such as: Massacre Conspiracy (MY), Trophy Knives (MY), Last Goal Party (ID), Villes (SG), I, Devotion (SG), Of Thrones (SG) and Iman’s League (SG). The line-up will also be featuring the winner of MerchCOW Battle of the Bands. More details for this event will be announced on 1 May. Attila, Secrets and other regional talents are performing at Mayday! Singapore 2018. The Mayday Pass is available for purchase as well at the price of SGD100, which includes a package of an autographed poster, personalised laminate and a limited edition Mayday! SG T-shirt. 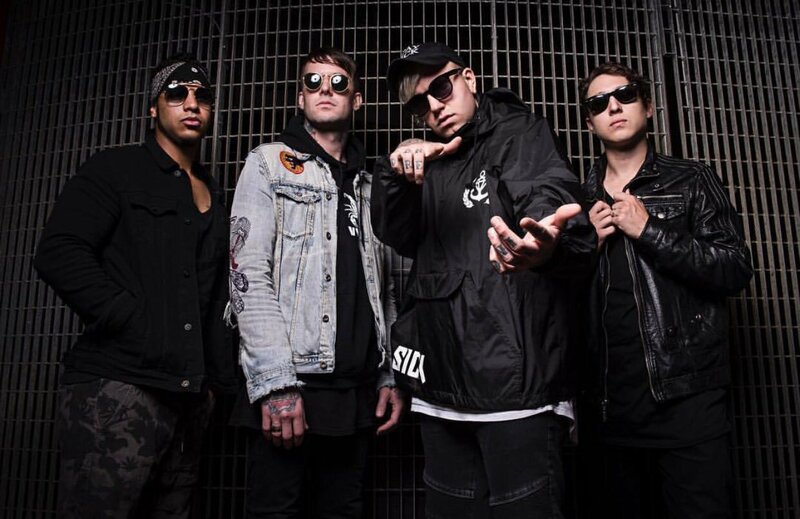 The first 30 purchase of the Mayday Pass gets a meet and greet session with Secrets and Attila.